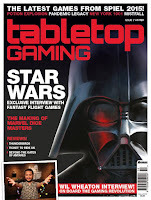 Just a quick note to say that the new issue of Tabletop Gaming Magazine is out today, and includes an exclusive Frostgrave scenario called The Bridges of Mal Dreath. I wrote the scenario when I was still very much in the Thaw of the Lich Lord mindset, so it should slot right into that campaign. In the UK, you can pick up a copy at WH Smiths. Elsewhere in the world, you are probably best off ordering direct. Anyway, here is their Facebook page. 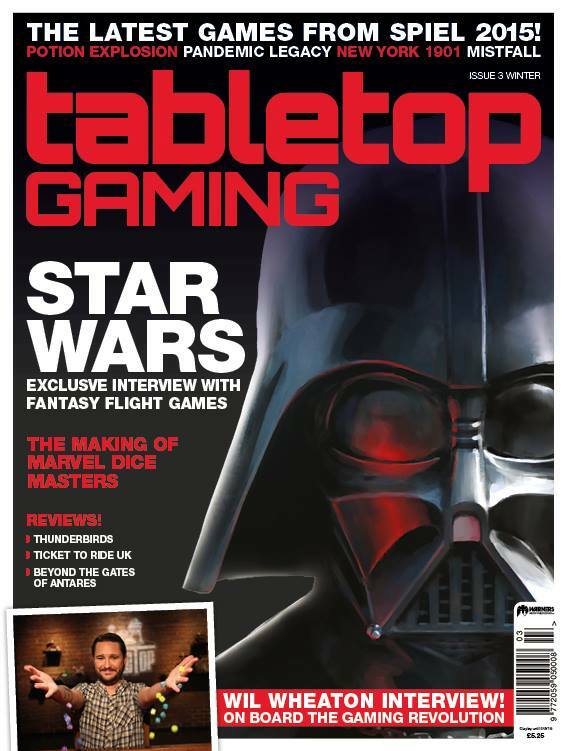 I like to think that I was going to be on the cover until I got bumped for Wil Wheaton and then he got bumped for Darth Vader!